School holidays are here! 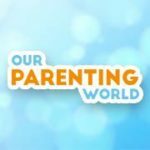 Looking for interesting places to visit? Sentosa 4D AdventureLand has launched a new attraction in November, introducing the Haunted Mine Ride 4D! Haunted Mine Ride 4D is a fully motion-simulated and highly sensorial that is suitable for the whole family to have an enjoyable immersive and thrilling good time together! During the launch event, it is so nice to meet our friends, it is really fun for everyone and the whole family to participate in the rides together! The new Haunted Mine Ride 4D is an eye opener that brings us to a fresh new experiences of venturing into the mysterious haunted mine, you never know what you will expect in your journey! More about the Haunted Mine Ride 4D, the ride is suitable for 3 and beyond. The ride will bring you to a plunging headfirst experience into an dilapidated and seemingly abandoned gold mine, with nerve-racking twists and turns and escaping narrowly from falling boulders and more! Be spooked when you travel deeper and faster into the fiery pits of the sacred grounds. During your thrilling journey, you will experience specially designed multi-sensory effects like fog, smoke, lighting, wind, leg-tickler and motion etc. that make the physical theatre experience incredible, bringing you fully into the world of the haunted mine that will make you want to go for the ride again and again! Haunted Mine Ride 4D brings a yet-to-be-seen spooky element to the table. Wide screens, state-of-the-art sound systems and quality cabin technology recreate the outdoor ride experience with ultimate immersion at maximum comfort. What are you waiting for? 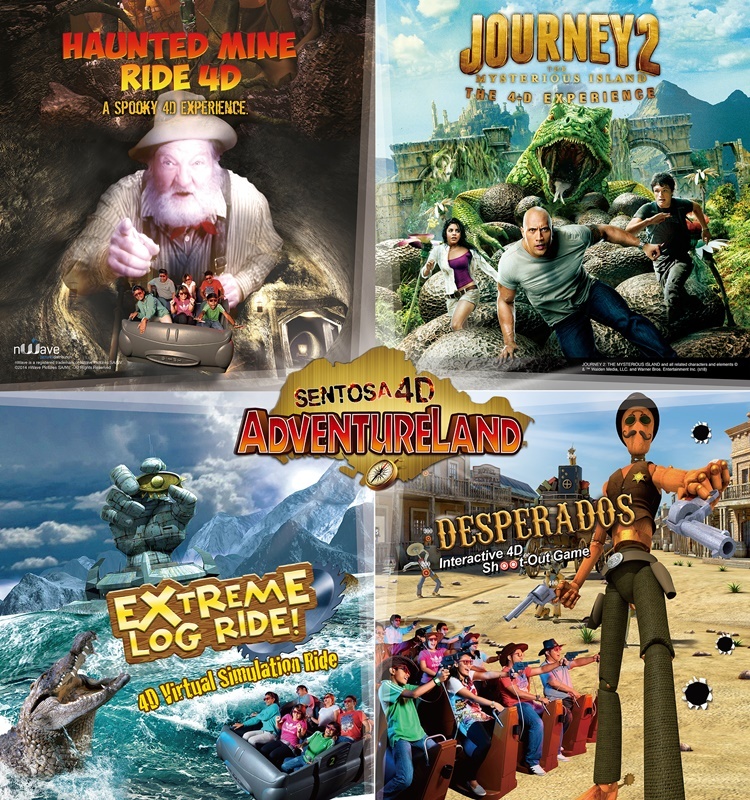 This school holidays, bring the whole family to Sentosa 4D AdventureLand to experience the new ride! AdventureLand is suitable for all to enjoy and even though there is a minimum height requirement of 90cm for children to be seated alone, toddlers below the height requirement can still enjoy the ride while strapped in on their parents’ laps. Considerations have been made to ensure that the whole family can participate in the rides including stationary seats are available for expectant mothers, elderly or individuals with disabilities. Everyone can have fun together at AdventureLand! In addition, there are more rides to look forward to at AdventureLand like the Journey 2: The Mysterious Island, where you can race alongside Dwayne Johnson in a 4D movie experience. If you like something more hands on, try your hand at Desperados, an interactive shoot-out game set in the Wild West that is the first of its kind in Asia, only at 4D AdventureLand. A motion-simulated alternative to Haunted Mine Ride 4D is Extreme Log Ride, a virtual ‘roller-coaster’ that takes you through gushing ravines and steep valleys. Loads of shooting fun at Desperados! Now you can enjoy more savings and celebrate the year-end holidays with the 4-in-1 Combo package, where you get to take all four rides at Sentosa 4D AdventureLand at the price of $46.90 for an adult and $33.90 for children from 3 to 12 years of age. To sweeten the deal further, a 3rd person (adult/child) gets to ride for free with every 2 full price adult-paying guests for over-the-counter bookings. 4-in-1 Combo: Adult – $46.90 Child – $33.90 (3 to 12 years) Free entry to children below 3 years old.